Yang Sheng (養生) — nurturing life or cultivating health — may be the most important concept in traditional Chinese medicine (TCM) and Chinese health culture. Yang Sheng inherently includes three interrelated components: nurturing body, nurturing mind and nurturing spirit, as all of these are necessary components of a healthy life. Here I would like to discuss the significance of nurturing mind in the process of nurturing life. What is Yang Sheng? There are many different definitions out there. 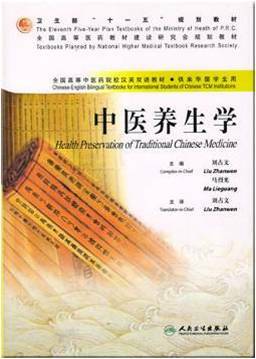 According to Baidu, the most popular Chinese online encyclopedia and search engine “Yang-Sheng is composed of traditional Chinese health preservation methods that apply adjustments of spirit, dao-yin, seasonal adjustments, nutrition, and medicinal techniques according to Chinese medical theory.”  (養生是 “根据中医理论，运用调神、导引、四时调摄、食养、药养等方法的中国传统保健方法”). Do you find nurturing mind included in this definition? According to the definition in a recent textbook on Yang Sheng, Life-Nurturing Science in TCM, Yang Sheng is “the type of subjective and objective behavior with which people consciously take care of their life through various means and methods. It is the application of their deep understanding of the laws that encompass all of life’s developments. …It is also a mind-body health activity achieved through material and spiritual unification.” This definition does not really discuss the three levels of body, mind and spiritual cultivation. If you read only the definition of Yang Sheng, or just the table of contents of Yang-Sheng books, you may be easily misled on what Yang Sheng is really about. 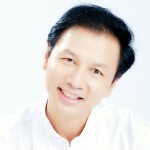 More than 90% of the contents in Yang Sheng books or Yang-Sheng programs are about physical health or bodily preservation, such as diet, environment, adjusting to climate, sexual activities, exercises, bathing, leisure activities, medicine, massage, techniques to take care of specific body parts and so on. Some even misspell Yang Sheng as nurturing the body (養身). A famous Chinese scholar in the Qing dynasty, Liang Wenke, once said, “nurturing life is mainly accomplished by nurturing one’s mind. If the mind is calm and clear, the spirit is in a pure and healthy world, if the spirit is healthy, no illness can enter you.” If we forget about the significance of nurturing the mind and spirit, the practice of nurturing life will become invalid or baseless. I would like to share some of my thoughts on this matter. Calligraphy of Chinese character “Yang-Xin” (nurturing mind) by Mr. Zhiyang Xu. What is Yang Xin (養心) or nurturing mind? Baike at Baidu (Chinese online encyclopedia) defines it as “nourishing and preservation of the mind and the will, the cultivation of personality, and reaching psychological balance.” (涵养心志; 养性; 心理平衡). Meng zi, an ancient Chinese philosopher, considered “Nurturing mind as mainly about minimizing desires” (养心莫善于寡欲); the Yellow Emperor’s Internal Classic set the ultimate goal of nurturing mind as “tranquil mind and nothingness” (恬淡虚无), implying a calm and peaceful mind state, being open and optimistic, and having a self-entertaining mood with a concentrated but restful spirit. In general, nurturing mind refers to the process or the activities involved in nourishing the mentality, cultivating virtue, balancing the personality, calming one’s mood and strengthening the will. In modern society, the training related to stress management falls into the category of nurturing mind. The concept of Emotional Quotient, or Emotional Intelligence (the ability or capacity to perceive, assess, and manage the emotions of one’s self, and of others) is primarily about nurturing mind in modern science and psychology. Why is Nurturing Mind Most Important in Nurturing Life? 1. Most physical illnesses are treatable, but not so for emotional or psychological illness. 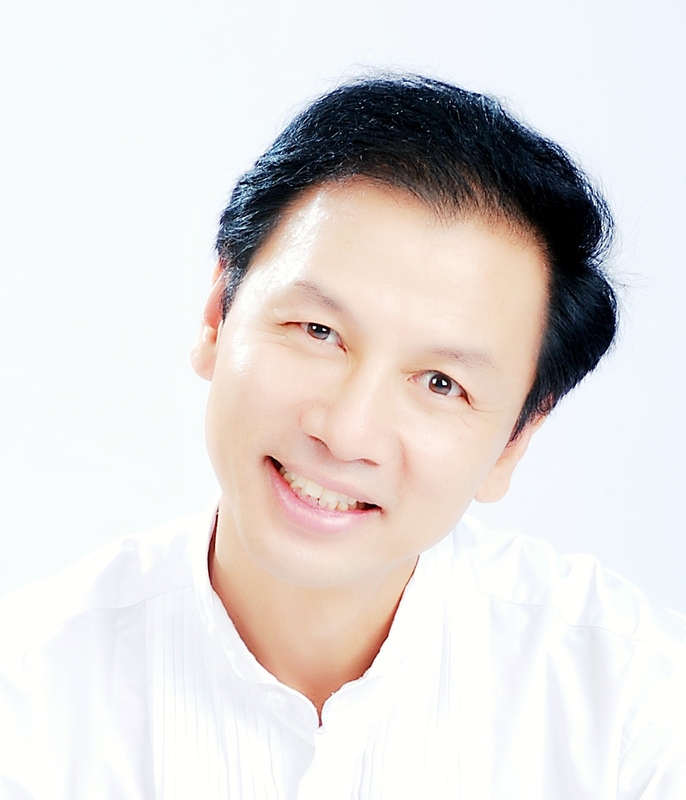 The main purpose of nurturing life (Yang Sheng) is to maintain health and achieve longevity. 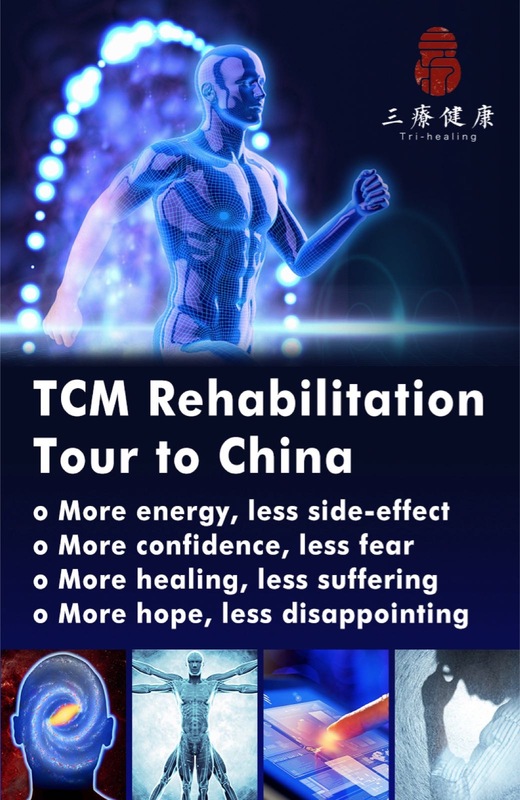 According to TCM, good health is the result of harmony with heaven, the earth and humanity (天地人和). To be harmonious with heaven, we need to change clothing and adjust to the environment to synchronize with different climates or seasons; otherwise, our body may be invaded by wind, damp, cold or heat qi and become sick. To be harmonious with the earth, we need to have a balanced diet, and restrain ourselves from any excessive consumption of the five tastes (sour, sweet, salty, bitter and spicy); otherwise, our body will lose balance, and develop illnesses such as obesity, heart disease and diabetes. To be harmonious with our fellow humans, we need to adjust or constrain the five poisoning (negative) emotions – complaining (blaming), hatred, sorrow (annoyance), anger, worry (fear) (怨、恨、恼、怒、烦)  so that we can get along with others peacefully and harmoniously. Many sicknesses are the consequence of excessive emotions, which can be very difficult to treat by any known medicine or simple formula. Complaint hurts the spleen, hatred exhausts the heart, sorrow depletes the lungs, anger hurts the liver and fear/worry affects the kidney. When our lives are in discord with heaven, we could catch a cold or suffer heatstroke, which can be easily treated. When our lives are in discord with the earth, we can have an imbalanced intake of the five tastes. We may end up with high blood pressure, high blood sugar and/or high cholesterol — very common in modern society. We may also develop chronic sicknesses, which are more difficult to heal, but still treatable by medicine. However, when our lives are in discord with other humans due to the five poisoning emotions, it becomes a personality and character issue and there is simply no medicine or formula that can effectively treat these disorder(s). The only known way to treat the symptoms due to discord with humans is through mind-body cultivation, such as meditation, Qigong, Taiji, Reiki and Yoga practice, to develop a detached attitude and to cultivate an empty mind. In other words, one must learn to not attach to the outcome of a given situation; thereby become detached with respect to your attitude. Achieving such a state can be quite challenging. This is why there have been so many different mind-body cultivation traditions throughout Chinese history. Most of them tried to achieve balance and harmony with the inner self through cultivation. 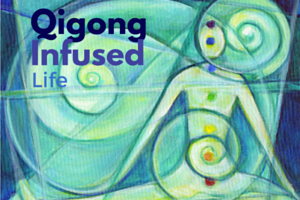 I have heard many stories of people experiencing personality changes after Qigong or mind-body practices. In the addiction treatment facility where I conducted my studies, counselors told me that the clients tended to be much less likely to become angry or to fight with each other after starting the daily Qigong meditation program. Some people may think that the development of modern clinical psychology should help reduce the occurrence of health problems caused by relationships and negative emotions. Theoretically, that should be what the clinical psychology is for, to solve emotional discomforts, and reduce mental health problems. However, I am not sure how true it is in reality. Statistics show that, after WWII, the number of clinical psychologists in the U.S. increased by more than 50%. However, at the same time, the prevalence of anxiety disorders almost doubled. Currently about 18% of the adult population in the U.S. report some form of anxiety disorder in a given year . A similar increase was observed in the prevalence of depression, but with an earlier age of onset. From 1991 to 2001 the prevalence of major depression among U.S. adults increased from 3.33% to 7.06% . The most recent data by CDC indicates that 9.1% of American adults report symptoms of current depression . An increase in the number of practicing psychologists did not slow down the growth of mental health problems in the U.S. There is a Chinese saying, “the mind/heart diseases need to be treated by mind/heart.” (心病还得心来治) Among the ways to effectively treat the illnesses due to discord with humanity are self-cultivation and mind-body exercise, such as meditation, Qigong, taiji and yoga, as well as cultivation of a positive attitude and gratitude in daily life, or what we would call “nurturing the mind”. Gradually through these practices, a person can develop the ability to remain unattached to the outcome of situations, i.e. learn to have an unattached attitude toward life and the ability to cultivate a mentality of optimism and nothingness, which would protect them from discord with humanity. 2. Many physical health problems are the results of unresolved mental problems. Stress and psychological distress is the number one cause of diseases in modern society. Recent studies (e.g. Sobel 1995) indicate that about 70% to 80% of all visits to primary-care doctors in the U.S. were related to chronic stress and psychological distress, Stress-related health problems cost the U.S. about $200 billion a year. How is stress related to nurturing the mind? Stress is a feeling that’s created when we react to particular events or demands. It’s the body’s way of rising to a challenge and preparing to meet a tough situation with focus, strength, stamina, and heightened alertness. Psychological distress develops when one remains under stress, over a relatively long period of time. Although the event or demand that generated the stress is objective, the feeling of stress or the degree of stress is completely subjective, and varies by individuals. Those individuals, who have had training in nurturing the mind by developing a detached attitude, would be able to manage the stress with calm and order, or perhaps they would not feel much distress at all under the same conditions. Many physical sicknesses are partially or entirely caused by psychological illnesses. For example, 70% of all cancer patients had emotional disturbances 2-3 years before their cancer diagnosis. This suggests a strong connection between their psychological problems and the development of the cancer. Coronary heart disease (CHD) is the number one cause of human death around the world, while prospective studies [8,9] show that anger, hostility and anxiety are highly correlated with the outcomes of CHD in both healthy and diagnosed CHD population. These fatal diseases have a root in psychological illness with increased difficulty to treat or cure. Danner and colleagues (2001) conducted a longitudinal study on the factors related to longevity by following 180 Catholic nuns over 60 years. By carefully analyzing the nun’s self- descriptions of world-view or life perspective at the time of entering the church (around age 22) and many other relevant materials, they found out the best predictor of longevity among these nuns, given the similarity in most other living conditions, was having an optimistic life attitude at the time when entering the church. By age 85, 90% of the top quartile of those with an optimistic life attitude were still alive, while only 34% of those in the bottom quartile was still living. By age 94, 54% of the top quartile with an optimistic attitude survived, while only 11% of the bottom quartile survived. The difference is shockingly significant . Telomeres are the protective caps at the ends of chromosomes in human DNA. The scientific finding on the relationship between the length of telomeres and the aging process won the Nobel Prize of medicine in 2009. 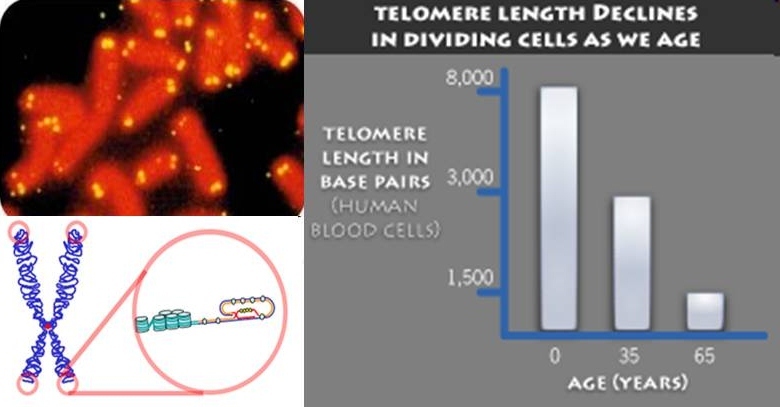 Cells age as telomeres get shorter, and conversely, they don’t age when telomerase activity is high and protects telomere length. A recent study by Epel et al (2009) explored the relationship among cognitive stress, mindfulness, meditation and telomeres. This study found that long-term cognitive stress (feeling under stress) would accelerate the shortening process of the telomeres, while mindfulness, meditation, positive life attitude and relaxing life style would help reduce or stop the shortening of telomeres. Meditation can literately slow down the cellular aging process…. This is a scientific verification of the significance of nurturing the mind for longevity in TCM. Therefore, Yang-Sheng or nurturing life should always consider the aspects of nurturing the mind since a healthy mind is the foundation of a healthy body. When we promote Yang Sheng or nurturing life in general, we should not ignore nurturing the mind and spirit. Unfortunately, the reality is the process of nurturing the mind has not yet been materialized into programs or products in the current commercial culture. 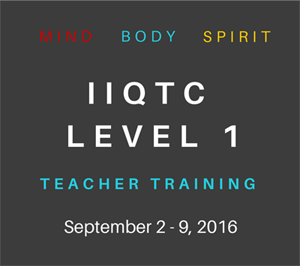 The challenge will be to teach people how to nurture one’s mind and have this fit easily into their daily lifestyle. 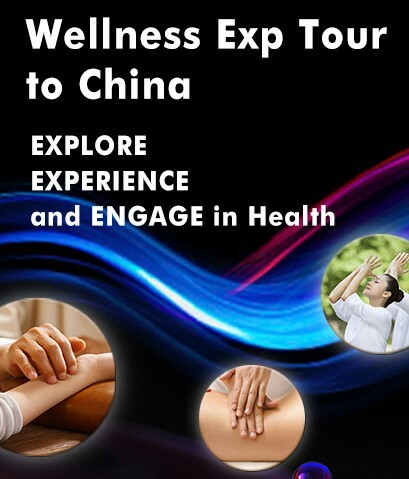 There are not yet many companies that are able to market the techniques or products of nurturing the mind at this moment, so that most companies we see in this Yang Sheng assembly are dealing with products of nurturing the body. That is great to start with. However, Yang Sheng as an idea or a culture in health and living, we should never ignore the process of nurturing the mind and nurturing the spirit. Only if we will effectively nurture the mind can the real health and longevity be achieved. Of course, the more important question after recognizing the significance of nurturing the mind will be how to nurture the mind. That is the challenge we are all confronted with in our daily lives and I will try to write a separate article on that subject soon. Liu ZW, Ma LG, et al. (eds) Life-Nurturing Science in Traditional Chinese Medicine. Beijing: People’s Medical Publisahing House. 2007. The Yellow Emperor’s Internal Classic (Huang Di Nei Jing, 黄帝内经), Beijing: People’s Medical Publishing House. 1963. Kessler RC, Chiu WT, Demler O, Walters EE. Prevalence, severity, and comorbidity of 12-month DSM-IV disorders in the national comorbidity survey replication. Arch Gen Psychiatry. 2005;62:617. Compton WM, Conway KP, Stinson FS, Grant BF. Changes in the prevalence of major depression and comorbid substance use disorders in the United States between 1991-1992 and 2001-2002. Am J Psychiatry. 2006 Dec;163(12):2141-7. CDC (2010). Current Depression among Adults – United States, 2006 and 2008. Morbidity and Mortality Weekly Report. Oct. 1, 2010. 59(38):1229-1235. Sobel, D. S. (1995). Rethinking medicine: Improving health outcomes with cost-effective psychosocial interventions. Psychosomatic Medicine, 57(3), 234–244. Chida Y. (2009). The association of anger and hostility with future coronary heart disease: A meta-analysis review of prospective evidence. Journal of the American College of Cardiology. 53(11): 936-946. Kubzansky LD, Cole SR, Kawachi I et al. (2006). Shared and unique contributions of anger, anxiety, and depression to coronary heart disease: A persptctive study in the normative aging study. Annals of Behavioral Medicine. 31(1): 21-29. Epel E, et al. (2009) Can meditation slow rate of cellular aging? Cognitive stress, mindfulness, & telomeres. Annals of N Y Academy of Science. 1172:34-53. The five poisoning (negative) emotions and their effects on health are based on Wang Fengyi’s (王凤仪) theory of Personality-Law Healing Philosophy (性理疗病), which is slightly different from the popular TCM theory on the seven emotions leading to various sicknesses. This entry was posted in Featured Article, Nurturing the Mind and tagged emotional illness, Longevity, mental illness, mental problems, Nurturing mind, nurturing spirit, optimism, physical illness, telomere. Bookmark the permalink. What an important article…and written with such skill and heart. To devote ones life to the betterment of society is a great undertaking. Surely it is a difficult thing to have such powerful wisdom–the successful imparting of which could change everything–and yet it is often either unknown or unappreciated. I am motivated to do my part to embrace and teach mindfulness along the way…to learn more about how to cultivate peace in every interaction, large and small…and to cultivate an “easily-satisfied” nature. Thank You. Again a worthwhile article for anybody who wants a happy, healthy an sound life. We should be grateful to dr Chen and hopefully this will help people to enjoy a better life.